It’s only August and already Hajin Lee has had one heck of a year. She got married, stepped down from her post as Secretary General of the International Go Federation, got promoted to 4-dan professional at the Korean Baduk Association and got accepted to an MBA program in Switzerland. Oh, and there was that whole AlphaGo thing. The AlphaGo games against Lee Sedol in March came just before the end of Lee’s tenure at the IGF and the huge crush of media interest generated headlines and news reports around the world as hundreds of journalists descended on Seoul, where she’d spent years as a pro. “Working at that event was really crazy, it was one of the busiest times of my life, but it was still fun,” she said. 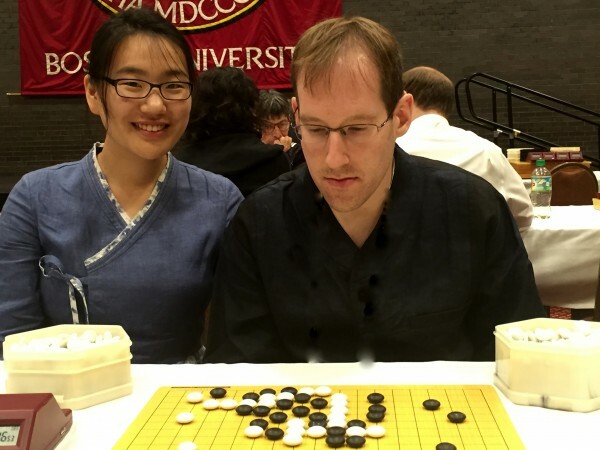 In addition to witnessing the most massive promotion of go in the history of the game, Lee came away with a personal memento of the moment: “DeepMind sent me a beautiful set of Wedgewood tea cups and pots” for her wedding to fellow go player Dan Maas. But the tea party will have to wait; Lee is moving to Switzerland this Fall to get an MBA focusing on international organizations. “When I applied for the program, I wanted to get some kind of job at the UN. But right now, I am open to other options because there are many organizations that do education or philanthropy work and I am mostly interested in those sectors,” building on her work at the IGF. “I really enjoyed working with the global community and the international context [at the IGF],” she told the E-Journal.